PRICE DROP !! 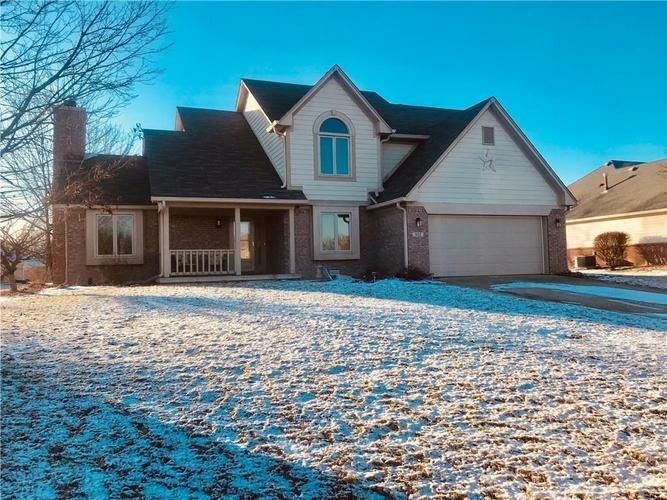 Beautiful home with 4 bedroom and 2.5 baths, office space. Living room has a wood burning fireplace, new carpet and flooring throughout the home. Kitchen comes with new refrigerator & stove, new water softener. Master bedroom has 2 walk-in closets. Large garage with extra storage space or workshop area, has new garage door. Basketball court in the backyard. New cover for the pergola. Home comes with a 1 year home warranty. Close to shopping and restaurants. Directions:From I-70 and IN-267. 267 North to Main St. Main St. West to N. Dan Jones Rd. N. Dan Jones Rd. to E. Co. Rd. 100 S. Turn Left (West). Continue West. Royal Troon on right. First left on to St. Andrews.